India's economic growth moderated to 7.1% in the July-September quarter, dragged down by slower consumer spending and farm growth, weakening as Prime Minister Narendra Modi's government turns its attention to an election due by May. India's growth is still faster than China's 6.5% in the same quarter, but a come-down from the more than two-year high of 8.2% set in the June quarter. Some economists expect the slowdown to stretch on to the election, or beyond. The Statistics Ministry released data showing a decline in growth of the farm sector and consumer spending, raising fears that slower rural wage growth could hit growth in the second half of the fiscal year ending in March 2019. The latest quarter's annual pace of growth was lower than a Reuters poll forecast of 7.4%. The gross domestic product figure was "disappointing", Subhash Chandra Garg, economic affairs secretary, said. A fall in food prices has hit rural incomes in recent months, which in turn dampened sales of consumer durables and other products. Tens of thousands of farmers and rural workers marched to the Indian parliament in the capital, New Delhi, on Friday in a protest against soaring operating costs and plunging produce prices that have brought misery to many. Farm output grew 3.8% year-on-year in the September quarter compared with 5.3% the previous quarter. The construction sector, one of the biggest employers after agriculture, grew 7.8% year-on-year, slower than 8.7% in the previous quarter. Several factors conspired to hold the economy back during the middle of this year, including a weak rupee and a squeeze in India's shadow banking sector that hindered both investment and consumption. Some economists expect growth to slow to around 7% in the second half of this fiscal year due to state spending cuts, muted rural demand and the statistical impact of higher growth in the same period a year ago. 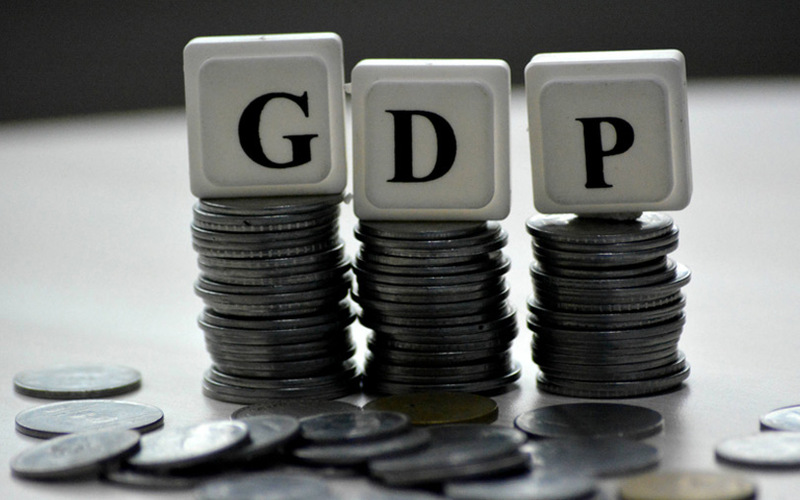 "There is a need to revise down growth projections as growth for the whole fiscal year could remain at around 7%," said N.R.Bhanumurthy, an economist at National Institute of Public Finance and Policy, a Delhi-based think tank. "The slowdown in farm sector growth, consumer spending has hit economic growth hard." India's $2.6 trillion economy, Asia's third largest, grew 6.3% in the July-September quarter of 2017, the data released by the statistics ministry showed.